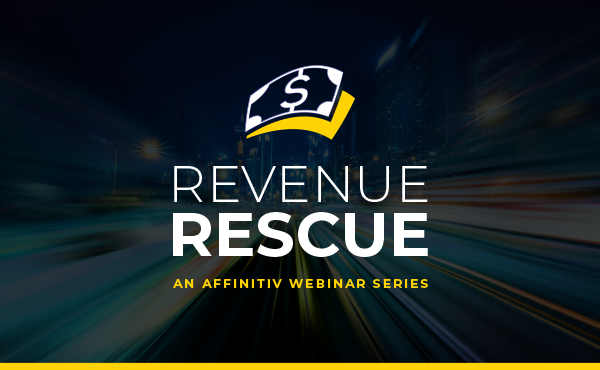 If you’re not meeting your dealership’s revenue potential on the sales or service end, this new webinar series from the experts at Affinitiv is one you won’t want to miss. More times than not, revenue is being left on the table. When your dealership misses an opportunity to build a customer relationship, you feel it in your bottom line. This series will take an in-depth look at the solutions, strategies and safeguards to ensure you’re making the most potent, cost-effective decisions to fuel your business. Register today for this free webinar! Click here. It’s time you looked beyond your DMS lists to achieve dealership sales and service lane goals. Check back here for future topic announcements or follow us on Facebook, Twitter or LinkedIn. Incorporating video can enhance your existing marketing strategy – and it’s not as daunting of a task as you may think. Click here to download a recording. Owner Retention Programs should do two things: Maximize Service Lane Opportunities & Build Loyal Customer Relationships. Does Yours? PPC ads aligned with your goals & driving qualified web traffic? It’s easier than you think. Customer experience matters. And when software solutions are integrated into your daily operations, efficiency & revenue increase. Tap into service lane opportunities and be the first choice for the next purchase. Plan ahead with a strong marketing calendar & multi-channel campaigns. Plus, how Direct Mail can still work to your advantage. Powerful data finds prospects & predicts in-market buyers to give you the competitive edge you’ve been looking for. Learn how to access these untapped resources.. Build a cost-effective, automated & targeted Social Media Strategy. When done well, recall management builds customer trust, repeat business & revenue.